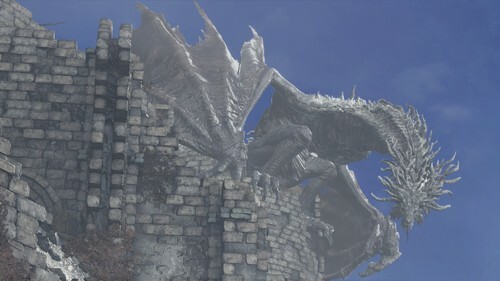 The Wyvern is located in Archdragon Peak. Stone imbued with the power of the everlasting dragons, used in a secret rite by dragon worshippers. Gain the head of a dragon and , a transformation that is irreversible until death. From ancient times, the path of dragon worship was walked by warriors. It is said they envision Archdragon Peak in the depths of their meditation, and at times, they even hear the distant sound of the great bell at the peak.